Avoid the common pitfalls of sustainability communication and branding, and get fresh insights into how you can build authentic, engaging - and cost-effective - programmes that engage your stakeholders. Are you guilty of greenwashing – or greenhushing? Or maybe just interested in learning more about, how you can optimize your corporate responsibility and sustainability efforts through clear communication and authentic branding? Then you have landed the right place. 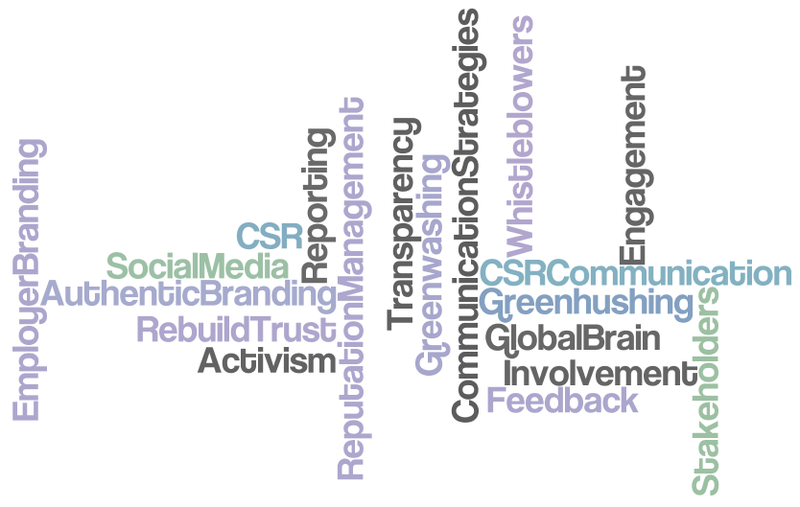 … Are key words when it comes to communicating your responsible and sustainable business practices. It’s not about being perfect. Because working with sustainability is a learning journey, and we will never know what stumbling blocks we may need to cross along the way. Public scrutiny is at an all-time high, and sustainability pioneers are not spared either. Openness, transparency and clear communication of both successes and failures towards internal as well as external stakeholders in order to build trust and mutual understanding is therefore critical. And information and communication must over time be converted into dialogue and relations. With Web 2.o comes CSR 2.0 with new possibilities for social interaction, involvement and co-creative opportunities, which open up for business innovation, problem-solving capacities and disruptive changes in the way companies act and interact socially and ethically. In short, sustainable corporate branding is about more than PR-driven communication with glossy or defensive messages. It’s about opening up your organization to the outside world. How you can use differentiation rather than volume to stand out from the crowd. Real-life cases of greenwashing – and guidelines for how to avoid it. Internal communication programmes and platforms. (Cost-effective) communication channels that will get the right messages out to the right target group. Three communication strategies for stakeholder communication and engagement. Key principles for authentic communication and use of online media. Cases of how front-running companies are using online media to engage stakeholders, innovate business and co-create new ideas and products. If you are interested in a tailored presentation around any of the other related topics, the format and content can be adapted subject to agreement. Format and content can be also be tailored to specific company needs. If you need a longer session or a more focused and customized format, check out our exclusive Trend Workshops, Intro-Sessions, How-To Masterclasses and other consulting and training services. Want to book or know more about how we can add value to your event? We have partners specialized in Asia Pacific, Denmark, Norway and the International markets, so if you have any questions or inquiries, please don’t hesitate to contact them or us. For bookings or inquiries, you can contact our partners here or contact us here.